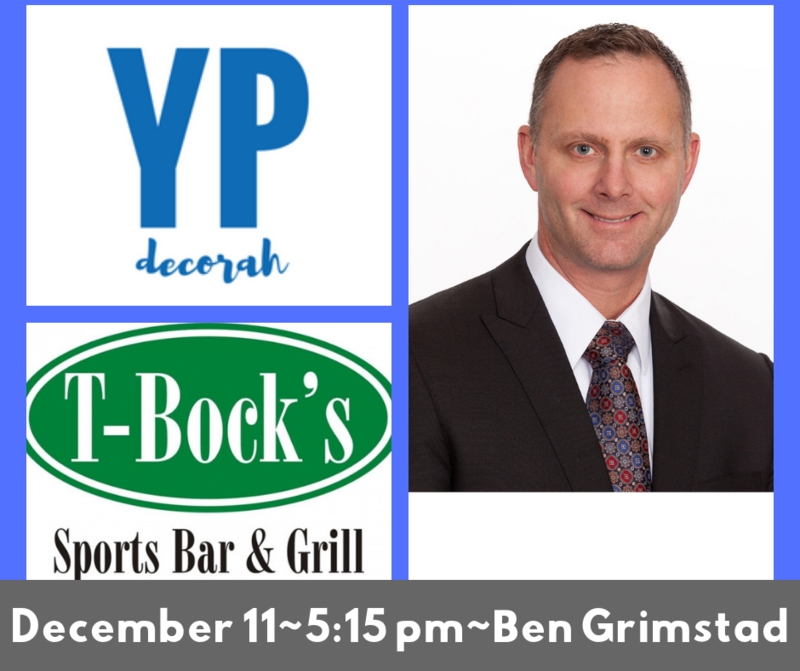 Description: Join us this month to hear from Ben Grimstad, President and CEO of Decorah Bank and Trust Company. Learn about Ben's journey in becoming CEO of Decorah Bank and Trust Co., in 2002. How his leadership has led the bank to recently be the winner of the Iowa 2018 Top Workplace Awards. The bank is owned by the Grimstad family and its employees through an Employee Stock Ownership Plan so the decisions we make are long term in nature. There is no need to focus on short term earnings because the bank is not for sale. We believe that by treating our customers and employees fairly and with respect they deserve, the bank will prosper in the long run.